If you have trouble matching up your dress shirts and ties together. These fancy shirt and tie sets are a no brainer for the style minded man by Milano Moda. 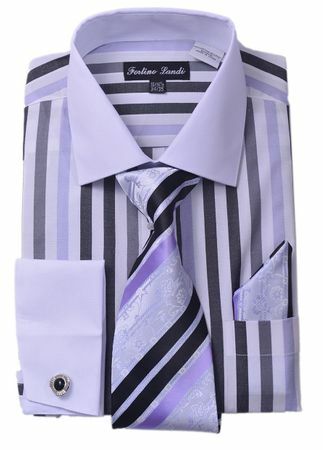 Featuring black and grey multi stripes and white collar with french cuffs, these fancy shirt and tie sets are sure to get you compliments in no time.